Deer and rabbits are our animal friends–that is until they enter our yards and feed on our vegetables, flowers, shrubs and trees. While they should never be treated with cruelty or harmed, it does make sense to keep them out. A simple deer and rabbit repellent recipe will encourage your furry neighbors to munch elsewhere. Add one part egg, one part milk, one part dish soap, and five to 10 garlic cloves to a blender. Pour the mixture into a closed container and place outside for 24 hours (where it will to start to spoil). Strain the mixture and spray it around your bushes, trees, flowers and the perimeter of the property one a week. 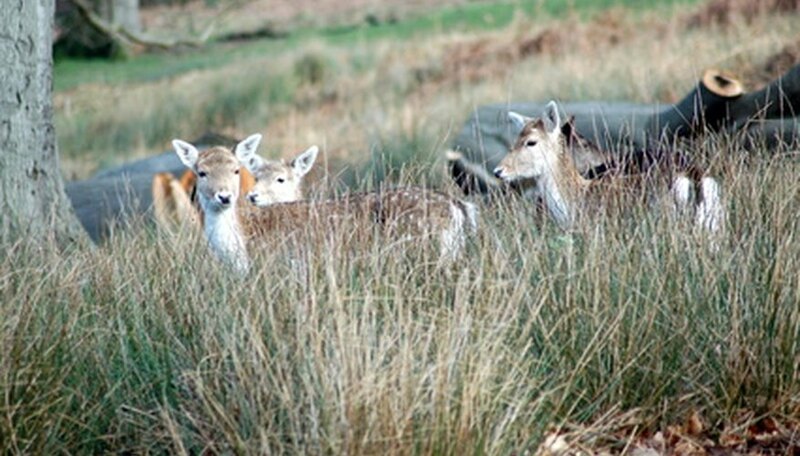 According to Golden Harvest Organics, deer and other animals do not like the scent of eggs. Combine one part cayenne pepper, one part dish soap with five parts cooking oil. Mix these ingredients well; spray the mixture weekly around the yard's perimeter–and around any individual plants or trees you want to protect. Combine one part cayenne pepper, two parts ammonia, two parts cooking oil, two parts eggs and four parts water in a bucket. Mix the ingredients together well, and pour into a pump sprayer. Spray the bases of the trees, bushes and flowers that you want to protect from deer and rabbits. Apply the repellent to the yard once a week and after every rainy day. Combine 10 grated gloves of garlic, ½ cup of cayenne pepper, five eggs and one gallon of water. Mix well and pour into a closed container; place mixture outside for 24 to 48 hours (to brew). Strain the mixture and pour into a sprayer. Spray the repellent around the yard and on individual trees, flowers and bushes once a week and after it rains. 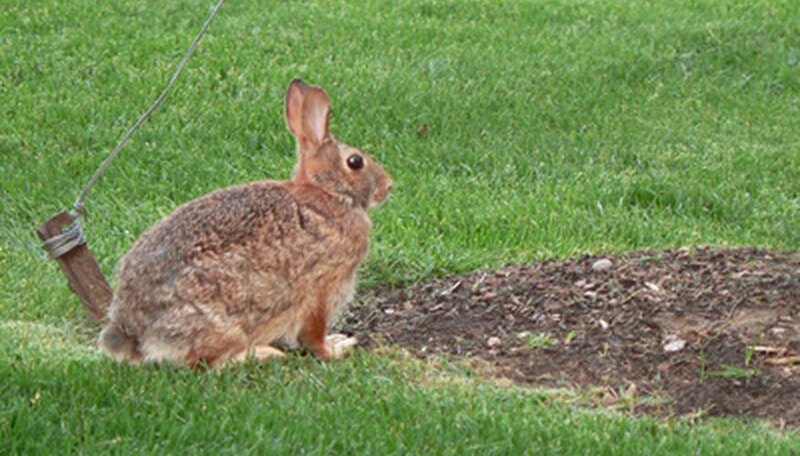 Select plantings that are deer- and rabbit-resistant for your yard. Select flowers such as irises, lavender, dahlias and cosmos for your yard. Choose herbs such as basil, catmint, dill, oregano, rosemary, chives and parsley. Plant bushes and trees such as juniper, pine, spruce, boxwood and bearberry in your yard. Even though all of these flowers, herbs, bushes and trees are deer- and rabbit-resistant, they will eat almost anything when they are hungry enough. iVillage GardenWeb: Cheap Homemade Deer Repellent...Actually Works!